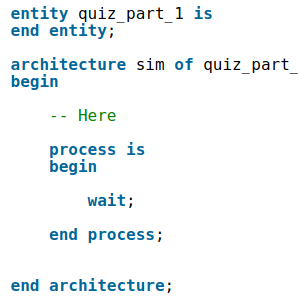 What is wrong with this process? 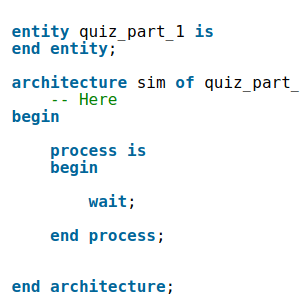 Missing semicolon after "process is"
How many times will the value of "i" be printed? How many times will this process print "Haha!"? 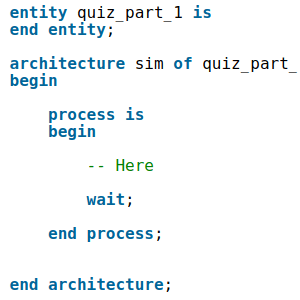 Is the use of "exit;" in this process legal? 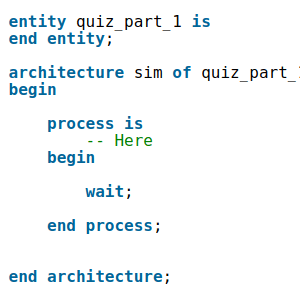 No, it should be "exit for;"
Where can a Variable be declared in this code? 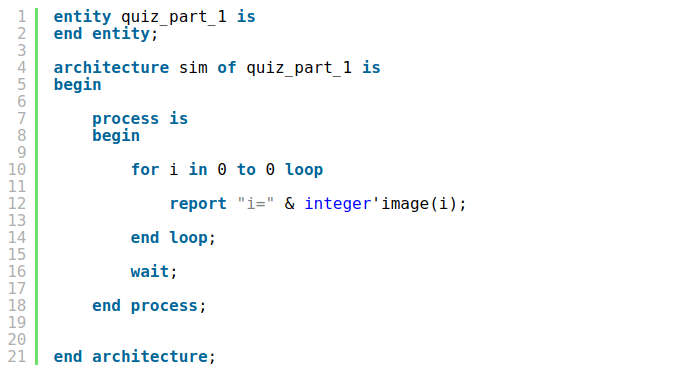 How much simulation time does the For-loop take? Thanks for the content, thumbs up. please keep up the good work! Thanks! That’s good to hear.